Elise Maree: When I grow up.. I found this last year. 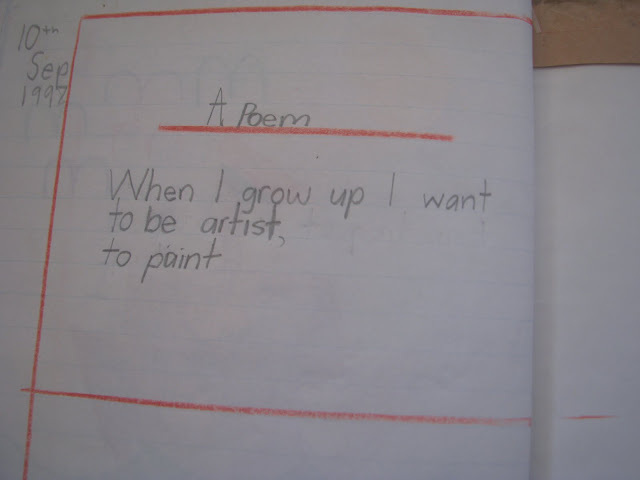 It is a poem from my year 3 workbook. I love that it states what I want to be when i grow up and now that I am grown up I still want to be one. maybe I am.. If you feel a little lost in the world and what role you play, i would strongly encourage you to go back to when you were a child and ask yourself what you wanted to be..when nothing could stop you from dreaming or becoming what you want. Its in you, sometimes you just have to re-discover it. as i wanted to. stick to your dreams.